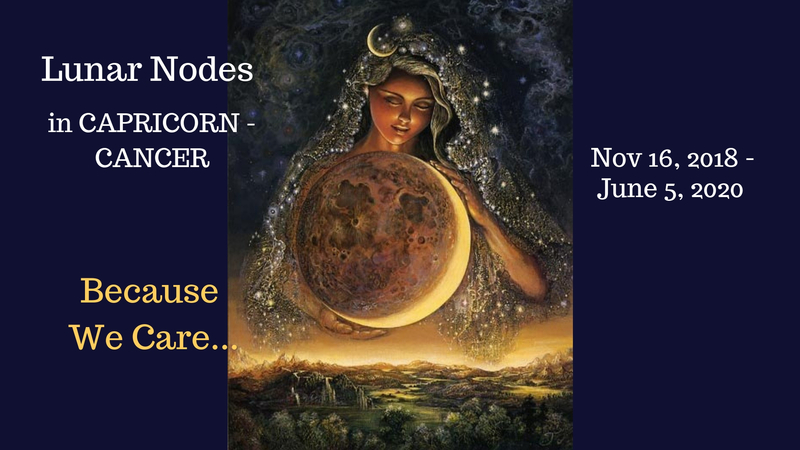 The Lunar Nodes moved into CAP (SN) – CANCER (NN) (Nov 16, 2018 – June 5, 2020): Because we Care! Dear ASTRO~NEWS Reader, in the Star Family! The Lunar Nodes just moved from AQ (South Node) – LEO (North Node) into CAP (SN) – CANCER (NN) – they always go retro in the Zodiac. Unlike most Astrologers, I consider the Transits of the Nodes significant. When New Moons and Full Moons (twice a year) are close to the Nodal Axis we experience Eclipses (alignments of SUN, MOON, Earth, and Lunar Nodes) which of course affect Planet Earth and Earth Beings a lot, as we know. Not only in these ‘highlight times’ (or ‘light switchers’ of the solar or lunar reflected sunlight) do the Nodes come in… but throughout their path in the Zodiac, esp. when in contact with our astrological signatures. They do activate us, in our Soul potential. The Nodes are ‘Karmic Pathways’, after all. They travel in the Zodiac in an 18 1/2 year cycle. Which means, we have our Nodal Returns at ages 18 – 19, 36 – 37, 54 – 55, 72 – 73, and 90 – 91. If you’re just coming up to these age groups your Nodal Pathway is probably also in CAP – CAN (in doubt, I can look it up for you). The SOUTH NODE (SN) – aka ‘Dragon’s Tail’ in Chinese Astrology – which is in CAP for the next 1 1/2 years – is where energy needs to be digested and eliminated. 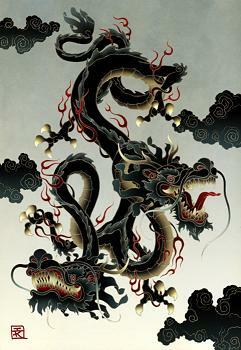 The NORTH NODE (NN) – aka ‘Dragon’s Mouth’ is where fresh cosmic energy is available to be taken in. It’s not a ‘black and white’ / ‘good and bad’ theme with the Nodes, rather an awareness of imbalance and of correcting that. What are the NODES in CAP – CANCER about? Prioritizing productivity, status, and ‘success’, at the expense of Nature and Mother Earth. A linear, hierarchically separative, controlling ‘order’ that disrespects Natural Laws. All types of exploitation and abuse, incl. self abuse via never having / making enough time / running out of time – by setting priorities that aren’t in alignment with what matters most – LIFE. What, who, which Beings need our caring presence now? Could be yourself (it’s gotta start with YOU! ), and could me Mother Earth. Gentle Lunar / Mary / Kuan Yin and Fierce Kali / Durga Mother Goddess (CAN) energies can be invoked to support and supply us with the energy to show our care (CAN) and to do what we’re ‘built for’ at this critical Time (CAP). …to keep an eye on, and balance towards the Cancerian side while processing the CAP shadow. JUPITER now in SAG helps with awareness that can shift the societal / public (im)balance, and brings new heart focused orientation. The (CAP) solidified Rock / mountain – (CAN) Fresh water, wells, and the Ocean. The Empire – The People, tribes, families, mothers & children. Secured, protected, defended, guarded – safe and taken care of. Patriarchy and capitalism / the boss – matriarchy / mom / grandmother is respected. The Pyramid / hierarchy (with elites / privileges) – Everyone’s welcome in the circle. Rules, regulations, reward / punishment system – Compassion and care. Harsh, disciplined, “no excuse” – Taking care of needs, listening to feelings. Construction, infrastructure, and buildings – Homes. Business Success – at the expense of nurturing, caring qualities. Extraction and exploitation of resources – Taking care of Mother Earth. Colonial claiming and overusing – Culinary feeding of the kids. 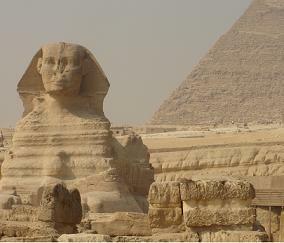 Constructing artificial (time / resource) scarcity – Nature provides. Living cyclically. Commodification of Nature into objects – Embracing and loving the Earth. Converting Life into money – Giving birth, giving Life. Divide and rule, organize society – Taking care of one another. I got the resources to do it – But it doesn’t feel good. Working the system – Being playful and creative. Being jaded – Being like a child again. Time is $, quantity / running after / running out of / artificial scarcity – Time is organic and fluid. Scheduling and optimizing – Going with the flow. Guilt and fear – Feeling safe and open. The CAP shadow is obviously already happening, via PLUTO (since 2009) and SATURN (since Dec 2017) in CAP – showing up intensely, extremely, and destructively (PLUTO) and for real and in structural and leadership issues (SATURN), to be transformed on deep levels (PLUTO) and seriously worked on (SATURN) – to come to a place of “Been there, done that, can’t continue.” (CAP). The Lunar South Node (SN) in CAP will connect with PLUTO in March / April 2019 (round 23º CAP – PLUTO will be stationary / move very slowly round 23º CAP in Apr, going retro on Apr 24), and with SATURN for even 6 months(! ), from Apr to Sept 2019 (between 20º and 14º CAP, since SATURN will be stationary at 20º31′ CAP in Apr / May, going retro on Apr 29, and again stationary at 13º55′ CAP in Sept, going direct on Sept 18). SATURN and PLUTO will be in close encounter in Apr / May 2019. Their exact alignment will be on Jan 12, 2020. Together with the South Node, that’s a massive pointer to process and ‘digest out of the system’ the draining and destructive CAP shadow of hierarchical top-down control, systemic (and individual) exploitation, abuse, waste of time, energy, and resources on what doesn’t matter most, creates separation, mostly serves the elite, and destroys the Earth. The World would (and CAN) be a better place if we don’t feed more into that greedy corporate / military-industrial monster dragon, and feed the true needs of humans and all beings on our precious Mother Earth. That would be a balance / correction suggestion I’d love to see and subscribe to. 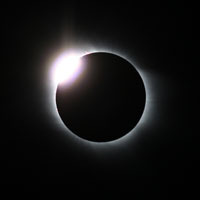 Yes, the Nodes tie into the Eclipses – an SoLunar concentration of the Nodal theme – either as a release (SN / Release Eclipses) or as a new beginning (NN / Seed Eclipses). These ‘Eclipse Season’ months, starting in Jan 2019 will peak in bringing up the notion for an energy release of the CAP shadow, and an energy flow towards CANCER in the next 1 1/2 years. If your birthday is close to those dates, the Eclipses will definitely be significant for you. Of course, also if your MOON, AC, or Planets are close to the Eclipse points. In the areas of Life related to where CAP – CAN is in our charts (esp. Houses wise) we are invited to source Feminine Nurturing Qualities (CAN), show our Care, and notice how natural Priorities and Purpose (CAP) follow. B.t.w., CANCER, ruled by the MOON is in countries (esp. the Cancerian ones like Canada and the U.S.) related to The People, while CAP, ruled by SATURN (which IS now in CAP) is associated with the Government. I.o.w., the People need to step up for what matters most – because we CARE. Sending Love, Light, and Compassion – we’re all in this Cosmic Dance! 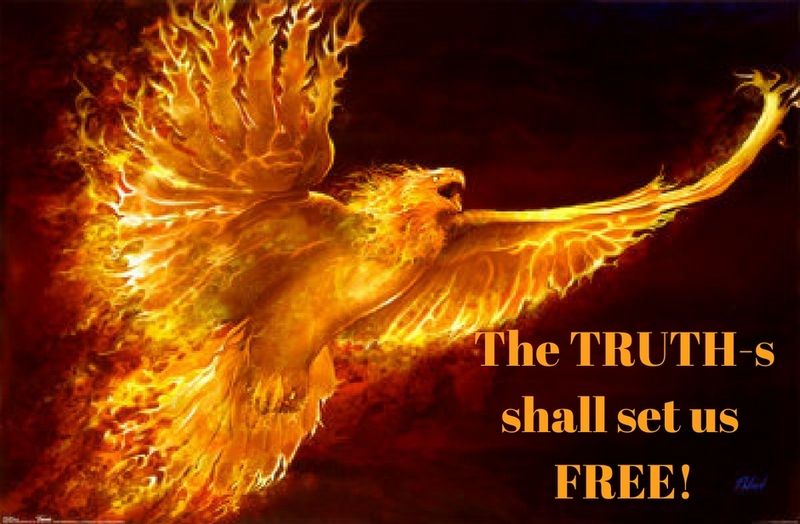 JUPITER’s move UP from SCO over the ‘Phoenix Point’ into SAG is the main ‘Reason for the Season’ – The Truth Shall Set us FREE! Allowing one another being in our Truth-s / Live and Let Live sets us even more FREE! Yet, it’ll be catalyzed, or perhaps rather: birthed, by the New MOON in deep central SCORPIO where the Magic and Power-to-Change is the strongest! And sometimes it’s the ‘little things’ (husshhh – see below…) that turn things around magically! What would be a good time for a New Moon ceremony? This New MOON gives me a good occasion to address this. I love how we connect in alignment ceremony and honour the cosmic / terrestrial cycles in our lives, whether we meet or even know each other or not… and give back to the Universe, Mother Earth, Nature, and other Human or Animal Beings. 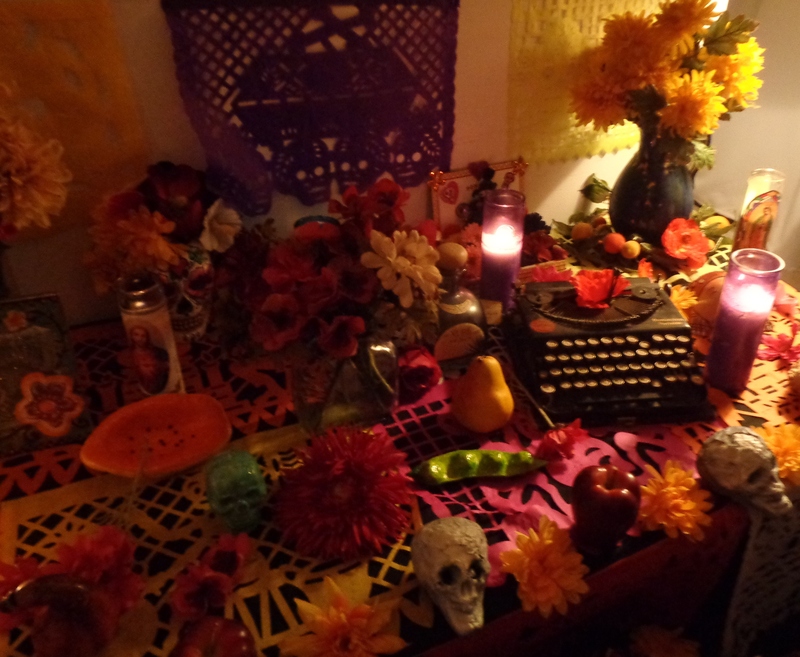 Traditions (as the Mexican Dia de los Muertos, or Catholic All Saints / All Souls early Nov…) are still-in-place yearly ceremonies. As the awareness and observing of ancient Traditions comes back and is being integrated into our contemporary world nowa-years, in a renewed, empowering and transformational way (PLUTO in CAP – 2008 – 2023) – we remember and re-connect! – ceremonies can be offered to honour what we hold sacred, without ‘going through the institutions’ (CAP) for this. New MOON Ceremonies mirror the monthly feminine cycle of fertility and renewal. Whether we live in a female body or not, and whether we’re in our fertility cycles yet or still, or not, New MOON Ceremonies connect us with the Sacred Feminine, and strengthen ‘her’ in us. If it’s about release of an old cycle, pattern, the best time would be on the days before the New Moon = the ‘Dark Moon’ – still this evening / tonight. If it’s about planting seeds for the New, the day of the New Moon or following days still, are excellent. Wherever the New Moon falls in your chart (does it activate Planets, Sun, Moon, AC…. ?, which House is it in?) would be the themes to focus on with your New Moon Ceremony if you’d like to be even more specifically aligned. … just 2 days before the 1st New Moon of the year on Jan 5 – in CAP which is also a Partial Solar Eclipse. Followed by an overview of all the New Moons of the year, as they show up in the cosmic cycle of your Star Map. Stay tuned, and bring on your questions and input already if you like. FB Event and invite coming soon. The NEW MOON will be exact at 8:02 am PST tomorrow Nov 7. So, from the Victoria / West Coast perspective, the NEW MOON will be less than an hour after Sunrise (7:09 am PST), as you see in the chart, with the SUN and MOON together in the 12th House, and SCO Rising. JUPITER sits at the very very ‘tail end’ (hope you didn’t get stung recently!) of SCO, on the Phoenix Point, before entering SAG the day after, Thursday (= JupiterDay, as in Jeudi, Jueves, ThorsDay) Nov 8 at 4:44 am PST. Where we Find our Heart Truth – from the Depth of SCO – and Share it with the World. Lots of SCORPIO – just before it all ‘magically’ shifts, with JUPITER and the MOON on Nov 8. 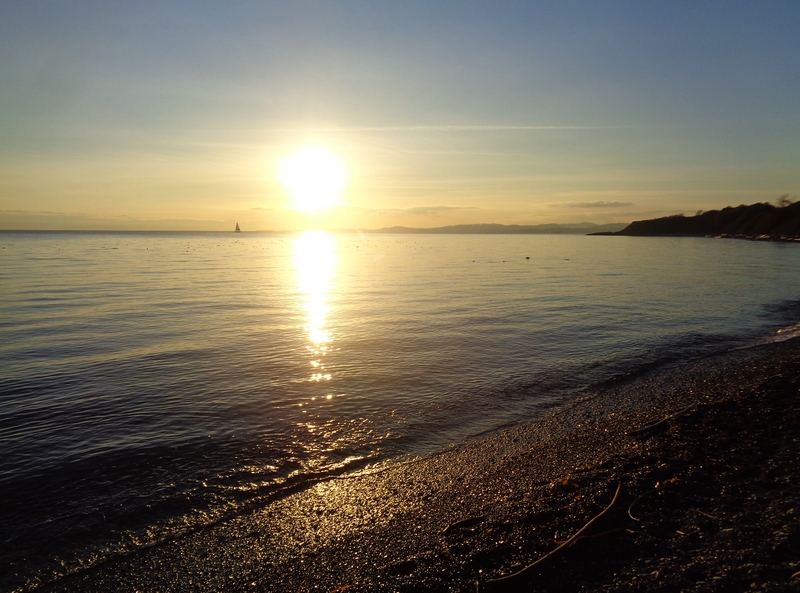 What carries us over the ‘Phoenix Point’ to be reborn from the ‘ashes’, get unstuck, and turn from contained to open, from controlled to generous, trusting, and free? We’ve experienced VERY scorpionic 13 months since 10/10/2017, activated by JUPITER. Let’s ‘process its residues through’ by honouring its gifts (JUPITER likes that) – even though some came wrapped with ‘barbed wire’…. Quite an alchemical New MOON, offering, with its strong SCO gravitation presenting itself as an integration of the last year and transformation into what comes beyond, led-out by JUPITER. 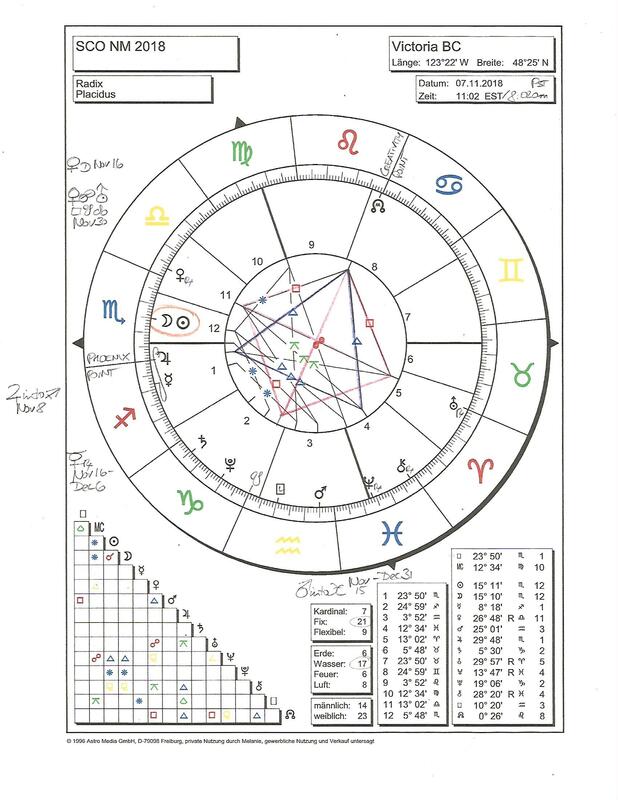 The Ruler of the New MOON and of the AC / West Coast chart is PLUTO, nowadays / years in CAP, and in sextile alignment with the New MOON, and not far from CAP Ruler SATURN. So we have overall a strong SCO – CAP concentration – with SAG in-between calling to be invoked to trust its effects to lift us up – a resurrecting , enlivening Spirit / Heart ignition. “SCORPIO 16°: A GIRL’S FACE BREAKING INTO A SMILE. KEYNOTE: The fervent reaching out on the part of the young of heart to new experiences. Faith in life and in other human beings enables us to go forth toward relationships with whatever attracts our senses or stirs our imagination. 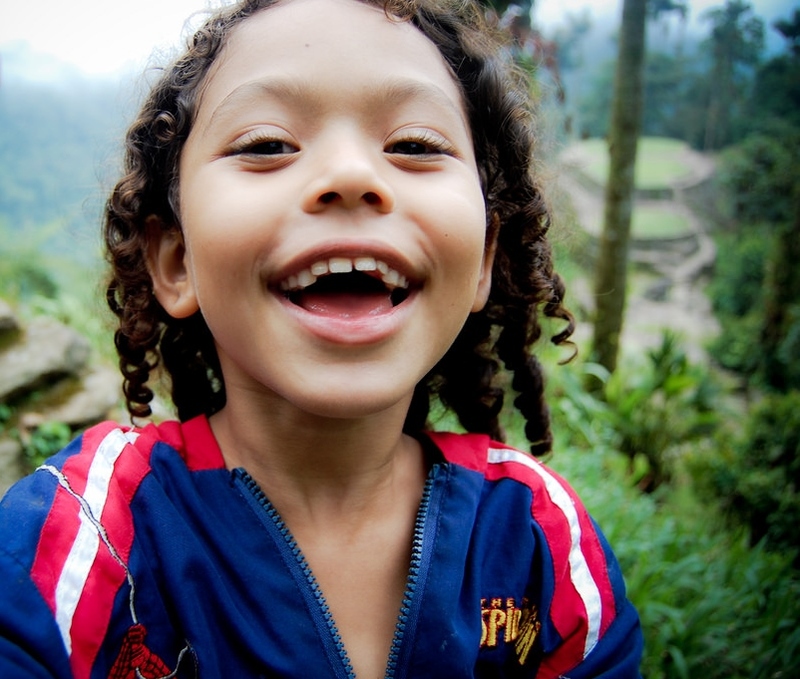 Smiling is perhaps a uniquely human characteristic because it implies a conscious acceptance of relationship, thus a choice. The animal, on the other hand, is compelled by unconscious instinct, at least in its natural state. It is not free to choose between love and hate. Yay, what a difference a Smile makes! Very apropos SCO-to-SAG… (beyond Scorpionic sarcasm and dark humour….) – coming straight from the Heart, and changing us like magic! And in all of us Young-at-Heart Ones, doesn’t such a genuine smile arise from the Inner Child? The North Node on the cusp from LEO to CANCER is in a potent cuspy Cardinal / Fixed Grand Cross, together with the South Node on the cusp from AQ to CAP, URANUS retro on the cusp from AR to TAU, the ‘(Un)Settling Point’, and VENUS retro / stationary on the cusp from LI to SCO – the Tipping Point. The Grand Cross energy is on for the rest of the month, until VENUS will exactly oppose URANUS (the 3rd and last time in ‘her’ retro / post retro phase) on Nov 30. In my sense it’ll be strongest mid-Nov when the Nodes shift. Reconnecting with people you’ve had loving connections with in the past (VENUS retro) but lost touch, show your warmth of feeling (a real smile counts for 1000 smiley icons) and it could lead to a co-creative projects (CAP – AQ). How’s that for a little magical transmutation? MARS in PISCES (Nov 15 – Dec 31) – Surfing the Cosmic Waves! 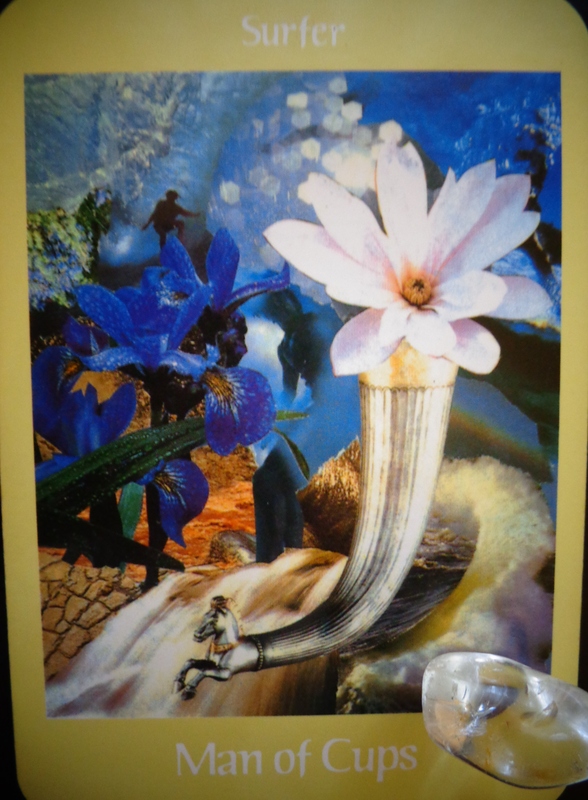 Loving the picture on the Voyager Tarot card Man of Cups – Surfer that I chose for MARS in PISCES. It also contains a blossoming Horse cornucopia (so JUPITER in SAG) – symbolizing the exhilarating, ecstatic joy MARS in PISCES can engender. MARS will (YES, it will!) leave AQ where it’s been basically forever (well, since the TAU New MOON on May 15!) due to its retro phase this Summer (slightly back into CAP). Has the Inner Masculine been re-calibrated in your Life? Which kind of masculine energy shows up in your life and through you, and how has that changed since the Summer? How are Men in Society (MARS in AQ) changing? Well, they are, as the Times they are a-changing, the CAP Patriarchy looses its power, and forces of Transformation sweep up the shadow and regenerate it. MARS will enter PISCES on Nov 15 where it’ll be exactly until the last day of the year, Dec 31 – on the last degree of the Zodiac, before entering freshly into the New Year in ARIES. Nice natural alignment job, Mr. MARS! The Piscean MARS isn’t so much into fighting, rather into chilling, relaxing, connecting, dancing, surfing, and the ‘pursuit’ of all things spiritual – which in some sense is an oxymoron (PISCES is always so paradoxical, there we have it again…). So that’s it from my side, for the SCORPIO New MOON Magic – nice one! Ride the Cosmic Waves of Regeneration – and Blessings for the Rising Phoenix! August 2017 is Big Time ECLIPSE Month – Partial LUNAR (Aug 7) over India, and TOTAL SOLAR (Aug 21) over the U.S.A.
MERCURY into ‘storm’ since Aug 2, retro Aug 12 – Sept 5. With all these ‘imbalances’ to call it mildly, the ultimate ‘medicine’ is to be in the Centre, the ‘Hub of the Wheel’, the ‘Stillpoint’ where ‘nothing moves as everything is in motion, coming and going’. That would be the ‘shortcut’. In the meantime, in the human journey we are experiencing all these dynamics. Let’s see how they play out, and what’s ‘UP’. And LOVE is the Medicine that helps us in the ‘storm’ – is both grounding, and raises the vibration from which we experience the ‘events’! AUG 7: ‘Gates of Power’ / SIRIUS Rising Partial LUNAR Eclipse in mid-AQ – mid-LEO – Eclipse Portrait below! AUG 21: TOTAL SOLAR ECLIPSE on the ‘SPHINX POINT, close to REGULUS, the ‘HEART of the LION’. The TSE path goes over the United States (NW to SE) – only (except for the Northeast of Brazil), and it’s the first TSE that’s centralized over the U.S. since the country was founded, even though there have been Eclipses visible from the U.S., see list here. Plus, it is exactly on Trump’s AC / MARS in late LEO. Clearly significant for the United States and its present president. Please find the charts of the PARTIAL LUNAR ECLIPSE and of the TOTAL SOLAR ECLIPSE in the body of this article, and the charts of Trump and,of the U.S. as a reference on the bottom . Remember the last Eclipse pair in FEB? FEB 10: Lunar Eclipse in late LEO – AQ. The Eclipse MOON, with the Lunar North Node, was close to ‘REGULUS’ the Heart of the LION where the Total SOLAR ECLIPSE on AUG 21 will be. FEB 26: ‘Ring of Fire’ Annular Solar Eclipse (a ‘Closure’ Eclipse – PI SUN / MOON with the Lunar South Node). And now the two AUGUST Eclipses, in LEO – AQ where the Lunar Nodes are since end of April. 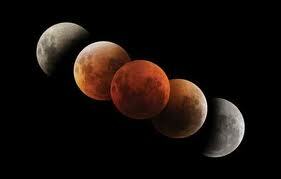 Eclipses occur when a NEW MOON and FULL MOON are close to the Nodal Axis which is presently in AQ – LEO. The closer the more likely a Total Eclipse. Eclipses come twice a year, and in pairs. When there’s a NEW MOON Solar Eclipse close to the Nodal Axis, say, in late LEO (AUG 21), the FULL MOON before (AUG 7) or after is an Eclipse too. On AUG 11, 1999 was a TOTAL SOLAR ECLIPSE in mid LEO. Its path went over Europe (I saw it, before coming to Canada in 2000 – had quite an effect!). For the AUG 21 TOTAL SOLAR ECLIPSE in late LEO you might want to review where you were at in 1999, esp. if you have your SUN, MOON, Planets, or even Nodes in LEO – AQ. The effect of the Eclipses extends beyond ‘just’ a lunar monthly phase, rather 2 – 3 months, and it’s a chain from Eclipse ‘season’ (last one in Feb) to Eclipse season. Close to INDIA’s 70th Anniversary of Independence on AUG 15, and centrally visible over the Indian Ocean. WE The People, The Climate & The Planet. Humman Community and collective Interconnectivity (AQ). I.o.w. : We’re all in this together! A movement is obviously already kindled, and happening globally, and even more so in the U.S., since the new presidency. In our personal lives, the Eclipse calls us to be in touch with our loving and creative Heart, and in passionate creative (SUN / MARS in LEO) collaboration with others in community, and in solidarity with Humanity (MOON in AQ). The LUNAR ECLIPSE in mid-AQ / mid-LEO is super relevant for all of us with SUN, MOON, AC, or Planets in mid-LEO, mid-AQ, but also in mid-TAU, and mid-SCO. For all of us, loving Heart creations and showing ourselves more fully and fiercely are LEO SUN / MARS / North Node incentives in the Eclipse dynamic, vs. just ‘watching the show’ (lots of ‘shows’ going on out there in the media, it can easily get draining and overwhelming) or dissociating (AQ South Node shadow). That doesn’t mean not to be informed politically, but too much of a ‘good thing’ in a passive, numbing way doesn’t help, yet the tendency can be strong these days, as the MOON (our default moods and needs) connects with the South Node. Loving and showing ourselves as we ARE. From there connecting with others, friends, groups, humanity, or even an ‘anonymous crowd’ with a good energy. Let’s loosen the connection with the technological umbilical chord (SN / MOON in AQ), and be naturally creative and playful FIRST. The Partial Lunar Eclipse in AQ – LEO will be most visible over Central Asia, especially India (and the Indian Ocean). India will celebrate its 70th Anniversary of the Birth of the modern Indian Nation, and independence of Britain (midnight on Aug 15, 1947) just a week after the Eclipse! Here’s an interesting little blog post about Gandhi and the spinning wheel. The MOON in AQ (“Freedom to the People!”) will be temporarily eclipsed by the Earth shadow, before re-emerging, bright and clear. So, what on Earth, and which part of Humanity is overshadowing the Spirit of Freedom and Independence? I can think of a few people and things…. and the Earth is speaking too. What brings the Spirit back, what’s called for Balance? LEO celebration – but not just of the privileged elite on a power trip (LEO). Everybody’s a Star, and by nature FREE, and Self-radiant as the LEO SUN. I’m immensely grateful for the spiritual teachings – and the many teachers originating / with their lineage from India – foremost Siddhartha Gautama the Buddha – who point us to the truth of the matter. Let’s invite the AQ – LEO Spirit of inner Freedom and Self-Radiance, in our path through the LUNAR ECLIPSE, and in preparation for the TOTAL SOLAR ECLIPSE! Here’s to Nature-ALL Inner Buddha Power, and Inner Buddha Nature! The LUNAR ECLIPSE FULL MOON will be in Central AQ – LEO (15°25′) – LAMMAS FULL MOON / SIRIUS RISING FULL MOON – All in One! Celtic Wheel of the Year, with Yule, Imbolc, Ostara, Beltane, Litha, Lughnassadh / LAMMAS, Mabon, Samhain. The Four Center-Points of the fixed signs in the Zodiac wheel represent the center of each season (like now, mid-LEO / LAMMAS = mid-Summer), see Celtic Wheel to the right. They are called the ‘Gates of Power’ where energy concentrates, and power themes come up. 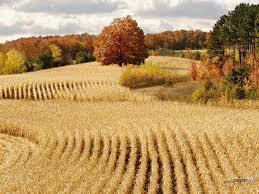 The mid-Summer Lammas energy is double-LEO – very fiery – see the ASTRO~NEWS blog post about it! Fiery MARS is this year super close to the Lammas SUN too (see Lunar Eclipse chart below). And it’s the time of SIRIUS (the ‘Scorcher’) Rising at dawn before the SUN, this year on 08 / 08! See my blog article SIRIUS Rising – RE-birth of the Spiritual SUN. Clearly, the Fire Element asserts its Power – to be used wisely. Central AQ where the FULL MOON will be is double-AQ – a call for Humanity to not just ‘stand by and watch’. AQ is an AIR sign, and a collective sign – i.o.w. “we’re ALL in THIS together”, as we’ve experienced here on the Westcoast with the wildfire smoke this week, building up to the AQ – LEO FULL MOON / PARTIAL LUNAR ECLIPSE on Monday. So, yeah, AIR quality has been clearly ECLIPSED, and water-bearing clouds would be much needed. Showing us as another wake-up call, how important and often taken for granted fresh AIR is (esp. when you live by the coast), and how much so many Beings – Humanity and all Sentient Beings on Planet Earth – are exposed to poor AIR quality nowadays, due to… well, mostly technological ‘progress’ that isn’t really innovative re: use of clean energy (all these are AQ themes). In my opinion, the weather, the climate, and the fires aren’t just ‘random’, a ‘given’. PLUTO in CAP, today Sat AUG 5 crossed by the MOON, has us look deeper, and take responsibility, incl. for the change we wish to see. We’re ALL in THIS together, in the cycle of LIFE, says AQUARIUS. What we do to a ‘small’ part (MERCURY about to go retro in VIRGO) we do to ALL (MERCURY opp. NEPTUNE in PISCES)… and we do to ourselves (LEO). URANUS, Awakener Archetype and ruler of AQ, just went retro on Aug 2 – pointing us to previous shake-ups and wake-up calls (in different ways), and even more so, Inner Awakening. Sometimes, an ecliptic, temporarily apocalyptic event triggers a change. Let’s hope it’s a wake-up call that leads to a change in human behaviour, and support for more innovation that leads to sustainability. And yes, mid-LEO / mid-AQ energy is quite intense… may we use these ‘Gates of Power’ for a good purpose! Showing the central-LEO MARS / SUN and the North Node in late LEO, with MERCURY about to go retro, in early / mid VIRGO. The MOON in mid-AQ and South Node in late AQ on the opposite side. URANUS, ruler of AQ, now in late ARIES, just went retro on AUG 2. JUPITER just squared PLUTO too (on AUG 4), see blog post for both cosmic events (Wake-up calls, and Soulful Choices). AUG 21 2017 TOTAL SOLAR ECLIPSE end of LEO, over the U.S.A. on the ‘SPHINX POINT’, and close to REGULUS, the ‘Heart of the LION’. The path of the TSE will cross centrally over the U.S.A. (Northwest / OR to Southeast / SC) and touch into Brazil. Definitely a spectacle to view (Eclipse show a la LEO?) – yet: What are the deeper and longer term implications of this ‘cosmic event’? The TSE will be at the end of LEO, the ‘SPHINX POINT’, in transition to VIRGO, and close to the fixed star REGULUS ‘Heart of the Lion’, and brightest star in LEO! This is where the Penumbral Lunar Eclipse / LEO – AQ FULL MOON of Feb 10 was (just 3 weeks after Trump’s inauguration). Did you know? Trump was born on June 14, 1946 – the DAY of a TOTAL LUNAR ECLIPSE (just 3 1/2 hrs before totality!) I’ll show his chart below. Interesting… DEC 19, 2016 was the day when the U.S. Electoral College voted for Trump, in the ‘winner takes it all’ plurality per state fashion that received a lot of controversial attention, given the shocking result (ha, URANUS was end of DEC also turning direction) – plus, MERCURY went retro in mid-CAP next to PLUTO the same day, DEC 19! Note: MERCURY will be retro during the TSE (MERCURY retro starts on AUG 12 and goes until SEPT 5, 2017). Exactly midway through the occultation series – on AUG 21, 2017 – the MOON occults = eclipses REGULUS on the same date that it totally eclipses the SUN on REGULUS. This is very significant for the U.S. and their current president whose MARS / AC is at the end of LEO / REGULUS! Io.w. the Martian / REGULUS LEO Rulership appearance / persona of Trump gets overshadowed / eclipsed by the late LEO MOON once a MONTH (ha, like a menstrual cycle), when the MOON in late LEO passes in front of REGULUS. This cycle started just the day before he was sanctioned by the EC., then 5 days before his inauguration, then monthly when the MOON was late LEO until APR 24, 2018, culminating half-way with the TSE on AUG 21 – what a symmetry! One could research and follow the dates and respective Trump effects (well, there are soo many!). I’d say, at least at the first two occultations true ‘kingly’ ‘lionhearted’ Rulership got overshadowed / showed up in shadowy ways. Let’s see what the TSE occultation brings. The most Royal Star. Raphael, the Healing Archangel, the Watcher of the North. Nobility, ambition, alertness, great power, status, leadership, sudden downfall, accidents, violence. Said by some to be the most benefic star in the universe. Here’s an extensive description of REGULUS – the drawing of the LEO constellation above is also from that page. Rather than ‘staying stuck in LEO mode’ a la “L’Etat c’est moi!” – quote by the ‘Sun King’ Roi Soleil Louis XIV. The current U.S. president is under scrutiny in this regard. The LEO / VIR transition, as addressed many times on this ‘channel’, is also known as the ‘SPHINX POINT’, or Self Awareness Point in the Zodiac. Here, the vibrant, self radiant, self enamored LEO energy reflects upon itself, and becomes aware of who s/he is, and what s/he can do for others. The ‘SPHINX POINT’ is an Initiation from ‘being chosen’, ‘special’, ‘privileged’, ‘being King / Queen’ to becoming a Priest/ess, who offers sacred service. A transition from the ‘palace’ to the ‘temple’. If you have Planets, SUN, MOON, Nodes on the ‘SPHINX POINT’ their Archetypes guide you through this Initiation to being of service in your life. “How can I do what I love and what inspires me creatively?” “What can I do for others?” , “What are my strengths, what am I naturally good at that would help others?”, “How can I put my love into service?”. The TOTAL SOLAR ECLIPSE is a ‘RE-SET’ of the theme on the ‘SPHINX POINT’ and REGULUS, i.o.w., we are all, president, Queen, King, or not, called to bring our LOVE, our LION HEART, and our Strengths into Service. What is it that calls YOU? The NEW MOON will be at 11:30 am, the maximum Eclipse at 11:21 am PDT, as noted on the chart. We’ll be able here in Victoria to see 90% of the SUN disk occulted by the MOON, and the total Eclipse time takes 2 1/2 hrs, from 9:08 am to 11:37 am PDT. MARS / Lunar North Node / SUN / MOON all end of LEO, and MERCURY Retro nearby (will meet the SUN on Aug 26), all round the ‘Sphinx Point’ / REGULUS. Can all this Ecliptic ‘reboot’ energy be channeled into major paradigm shifts, innovation, and inner liberation?! Another FIRE Trine to LILITH / SATURN retro / stationary, grounding out the journey, and showing us our True Nature (LILITH) when it looks like “rien ne va plus” (SATURN in SAG). 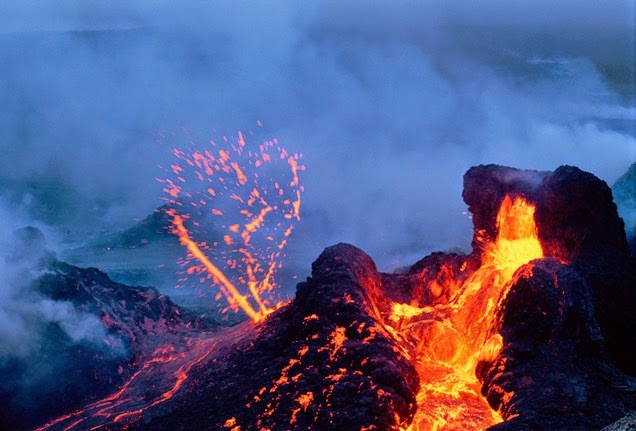 FIRE is the predominant element (SUN, MOON, MARS, North Node, SATURN, LILITH, and URANUS, all in the 3 FIRE signs): So much stirred up – can it be expressed in passionate, creative ways? Things can really get rolling if we put intention and motivation behind them. 6 retrograde Planets (SATURN about to go direct, on Aug 25) – we’re also dealing with ‘unfinished business’ and recurring themes – many ‘inside jobs’. Practically speaking, a better time to start a project when MERCURY and SATURN are out of retro & post-retro ‘storm’ – with the next Very VIRGO NEW MOON on SEPT 20. He was born just 3 1/2 hrs before a Total Lunar Eclipse! The TSE is right on his MARS / AC which is conj. REGULUS. He also just had his 6th JUPITER return in LIBRA, and SATURN / LILITH are on his MOON / South Node in SAG / opp. his SUN / URANUS / North Node in GEMINI – ‘rien ne va plus’, re: shooting / tweeting from the hip? Roadblocks for his attitudes and wild and crazy unpredictability? We shall see what this culmination of occultations brings to / through him (he surely is a catalyst to bring out the shadow of the establishment and system). Blessings to You and ALL, for the Eclipse Season! Let’s stay HEARTful, and connected in our HUMANITY! August is Client Appreciation Month in my Astrology practice – celebrating its 17th anniversary – with substantial discounts on consultation sessions – 10 – 50%! The longer ago you had your first session the less you pay in August! 🙂 . But even as a newbie you get 10% off this month! Tags: AQ - LEO Full Moon, Astro Blog, Astro Charts, Astro Consults, Astrologer, Astrologer Victoria, Astrology, Astrology Consults, August 2017, Donald Trump, Eclipses, Gates of Power, Great American Eclipse, India, India Independence, Lunar Eclipse, Lunar Eclipse August 2017, Lunar Nodes, Lunar Nodes in LEO - AQ, Melanie Lichtinger, Partial Lunar Eclipse, Regulus, Regulus Occultations, Sirius, Sirius Rising, Sphinx Point, Total Solar Eclipse, Total Solar Eclipse 2017, Trump Chart, Trump Eclipse, Trump Regulus, U.S. Chart, U.S.A.
* Ecliptic, Cuspy AQUARIUS – LEO FULL MOON (Aug 18) * Let’s Co-create from the Heart, in Friendship and Freedom! Tonight’s FULL MOON is even a ‘wide’ LUNAR ECLIPSE that ‘grazes’ the penumbral shadow https://en.wikipedia.org/wiki/August_2016_lunar_eclipse. The MOON will be about 18° away from the Lunar South Node (at 13°24 PI) – the closer SUN & MOON at a New Moon or Full Moon are to the Nodes the more exactly one of these heavenly bodies will be eclipsed. The NEXT FULL MOON on Sept 16 (closer to the Nodes) will be a Penumbral Lunar Eclipse. But, hey, energetically it’s been a super charged, ‘electric’ build-up time for this FULL MOON too, due to the URANUS connection with the SUN this week, and the AQ FULL MOON will sextile URANUS too (see chart). Reminds me of the wise teacher J. Krishnamurti who was born with AQ Asc. Wow, looking up his birth chart at http://www.astro.com/astro-databank/Krishnamurti,_Jiddu, it’s late AQ where tonight’s FULL MOON will be! We could use a bit of his ‘Freedom from the Known’ teaching – on so many levels. 1st House: How you show up – BE Liberated! 2nd House: What you have and value – Own Your Freedom! 3rd House: Your environment – Co-Create in the City, and with ‘Relatives’ in Humanity! 4th House: Your home – A Place for Friends! 5th House: Your creativity – You’re a Free-spirited Innovator! 6th House: Your work and health – Cooperation is the Future! 7th House: Your significant others – Liberated Partnerships, and: Is Your Partner Your Friend?! 8th House: Your deep involvement and transformations – perhaps from Loneliness and Distance to Sharing in Humanity? 9th House: Your travels and worldviews – Meet Like-Spirited Friends in the World – maybe as you Travel or Study?! 10th House: Your calling and purpose – is FREEDOM. 11th House: Your community – True Friends and Co-Creators. The SUN is at the end of LEO, coming closer to the cusp to VIR (and will enter VIR on Aug 22 at 9:38 am PDT), the ‘Sphinx Point’ of Self (LEO) Awareness (VIR). 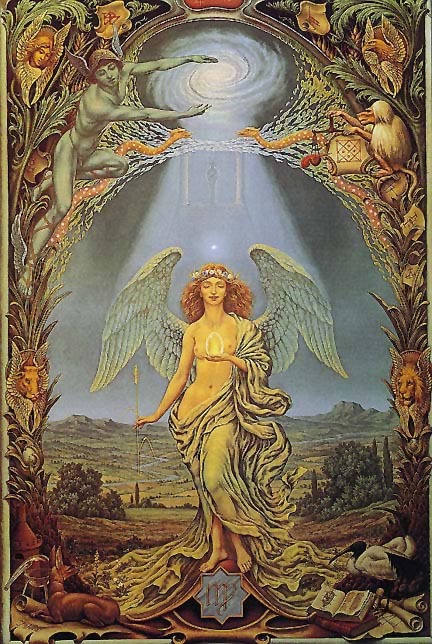 More about the SUPER VIRGO energy – Honouring the Sacred Feminine, Being in Alignment with our Work and Service, Health and Wellness… – for the VIR SOLAR ECLIPSE (a ‘Seed Eclipse’) on Sept 1. What does this mean for now, the Cuspy FULL MOON presently? Time to HARVEST the gifts of Self Awareness. Gratitude for being able to consciously Live from Love, and Serve Others with what we Love, and be in the Love while we do the Work. The MOON is at the end of AQ, as I propose to call it, the ‘Coherence Point’ (“We’re all in this together”) – one might also call it ‘www Point’ :-). Luna will glide over into PISCES even already tomorrow (Aug 18) morning, 7 ½ hrs after the Full Moon, at 9:34 am PDT, to meet in the oceanic realm its very own ruler of the cosmic seas, NEPTUNE, the South Node, and CHIRON, on Fri Aug 19 / Sat Aug 20. So yeah, Connection (PI) as friends, in circles, groups, as humanity (AQ) is definitely ‘highlighted’ at this point. Real human connection, I’d suggest… electronic, virtual connection is good too but can’t replace sharing in physicality (You can’t smell or hug or massage or share food with someone online… well, that all sounds like TAU all of a sudden :-)). Since the PI energies are all wrapping around the Lunar South Node (which is very close to NEPTUNE, for the rest of 2016! ), it’s also time to release overwhelm and addiction (PI), and, in balance with VIR, do spiritual practice (PI – VIR). More about the VIR – PI themes in the next Astro~News (VIR NEW MOON / Annular Solar Eclipse on Sept 1 to PI-VIR FULL MOON / Penumbral Lunar Eclipse on Sept 16). Shine Your Light, Move Freely, and Be in Your True Nature! Let’s Co-create from the Heart, in Friendship and Freedom! Voila – the chart for the exact Full Moon tomorrow Aug 18 at 2:27 am PDT, viewed from Victoria BC. As you see, it’s pretty busy, ‘down’ in the VIR environment! How about channelling that energy into dealing with practicalities that need to be ‘in place’ now, maybe literally Feng Shui’ing the home, or do ceremony and ritual for sacred alignment? Clearing clutter, and passing on unused items, bringing order into our household and health are smart practical moves in this. Yet, all that ‘doing’ wants to be balanced with being in resonance with what-is, and letting things fall off as needed if we can’t / don’t need to ‘work on them’ / ‘fix them’. A fine balance. Literally, fine-tuning (VIR-PI). Phewww, MARS has made it out of SCO into SAG – the Phoenix has Risen (technically on Aug 2, with the LEO New Moon! A seed for freedom, new trust, growth, and inspired movement (SAG), i.o.w. a new WHY, a new YES was planted then. Now, under the following FULL MOON, we can see ‘new life’ based on this initiation and seed time. How’s that for you? Esp. in the house of your chart where early SAG is. As you see, there is still one ‘condition’ / test / ‘wait a minute’ effect: SATURN is still ahead of MARS. This (MARS) too shall pass (SATURN) – next Wed Aug 24. So let’s use that SATURN energy to acknowledge how far we’ve come, and in fact the path unfolds in front of us as we walk – slow is beautiful… Maybe literally some (SATURN type) criteria have to be in place before we’re moving more swiftly and freely forward, upward, onward (MARS in SAG). The MARS / SATURN team are quite crucial ‘players’ these days, since they are the apex / outlet of a mutable T-Square, from NEPTUNE / South Node in PI and VENUS / North Node in VIR. Our friend URANUS in ARIES, still in turnaround ‘station’ (went retro on July 29) made friends with the LEO SUN this week, and has also shown us that things can shift and open quickly, and what we ’loved’ and tried to hold on to yesterday is already passee today. What remains – best way anyway – is to Live in the NOW! As you see in the ‘SCO Mutability 2015’ chart below – set up for the entry of the SUN into SCO on Oct 23, 2015 at 10:50 am PDT, we also experience presently a strong VIR – PI ‘Opposition’ which will get even more pronounced towards end of Oct.
NEPTUNE (2012 – 2026) and CHIRON (2010 – 2018) are in PI for a longer period, and affect the Collective. The LUNAR NODES entered PI (South Node) and VIR (North Node) on Oct 10. JUPITER in VIR opposed NEPTUNE in PI on Sept 16, and will oppose CHIRON in PI on Nov 3. MARS in VIR opposed NEPTUNE in PI on Oct 6, and will oppose CHIRON in PI on Oct 16, and meet up with JUPITER in VIR on Oct 17. VENUS in VIR has just squared SATURN on Oct 10, and will oppose NEPTUNE on Oct 16, and trines PLUTO on Oct 23. VENUS in VIR meets JUPITER on Oct 25, and opposes CHIRON in PI on Oct 27 (Full Moon Day). 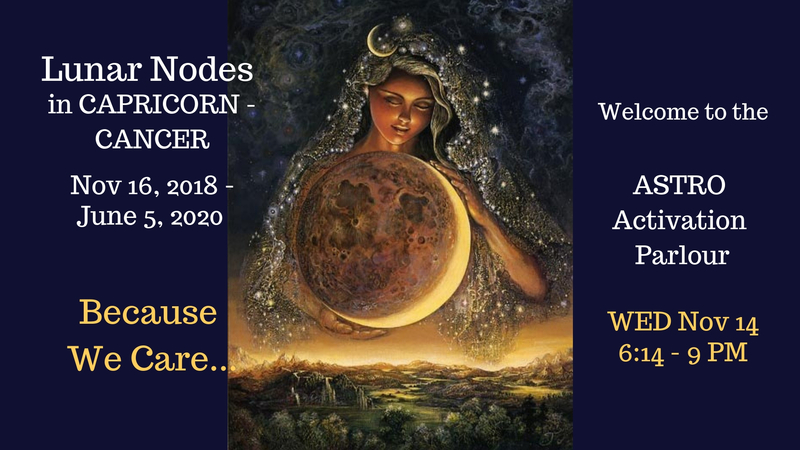 The Lunar Nodes (always going backwards in the Zodiac) crossed from ARIES (South Node) to PISCES, and from LIBRA to VIRGO (North Node) on Oct 10. We are invited now to bring our sensitivity and connectedness (PI) into alignment and practical service (VIR).The Nodes are all about balance. Replenishing on the PI side of all-connectedness and flow gives us energy to do any work well. When we are connected and loving the work goes so much easier, and healing happens. … from the VIR side (with VENUS – since Oct 8 until Nov 8, MARS – since Sept 24 until Nov 12, and JUPITER – until Sept 10, 2016, and Lunar North Node – since Oct 10 until May 10, 2017) being ‘in our temple’ of alignment with our true, holistic nature, doing our wellness and wholeness practice, and using this precious life time to dedicate our gifts and skills to make the world a better place. In other words, offering sacred service. VIR is also about digesting experiences, ordering and organizing. In the body, it rules the small intestines. … from the PI (with Neptune – until 2026, CHIRON – until 2018, and Lunar South Node) being in all-encompassing love and flow, nothing needs to be ‘done’, our ‘job’ is rather to perhaps let our ego and attachment to a certain outcome get out of the way, be open, surrender, be available, allow, hold space, or simply: BE present. In our embodiment, PI rules the immune system, our aura, energy field, the subtle bodies and chakras (as a field). Doing work and being of service, while coming from a place of loving compassion – and skilfulness. Rather than getting overwhelmed and feeling lost and useless (low vibration of PI SN, linking up with CHIRON and NEPTUNE), where is something practical, healthy, simple we can do that serves others and our own well-being? What would be beneficial practices and techniques (JUPITER / NN in VIR) we could adopt? Something that brings ease and flow (PI)? What can we do to clean up the chaos / mess – while being in the flow of love? Practically speaking: play music while cleaning the closet, and giving away what’s not being used. How can the sensitive and naturally attuned artist and empath in you (PI) bring this gift into something practical (VIR) that helps you and others? If you were born in those times, which themes are coming full circle now for you to be released and resourced? The Lunar Nodes will go into PI (South Node) – VIR (North Node) from Oct 10, 2015 – May 10, 2017. Presently there is a lot of archetypal activation in VIR (VENUS since Oct 8, MARS until Nov 15, and JUPITER. The North Node will be met by all 3 planets (MARS / VENUS early Nov. and JUPITER in Jan / Feb 2016). The South Node in PI will link up with CHIRON (March 19, 2016) and NEPTUNE in PI (Nov 4, 2016). The Lunar Nodes (always going backwards in the Zodiac) cross from ARIES (South Node) to PISCES, and from LIBRA to VIRGO (North Node) on Oct 10. Have we gotten out of balance with natural rhythms? Do you have a sense of overwhelm and chaos? Our sensitivity and sense of oneness with all life (PI) can on a personal level feel quite overwhelming . Its time now to do practical things to make the world a better place, clean up, take care of the environment, resolve problems, and do it all in an attitude of service that gives so much back. Is our work in alignment with who we are? The Nodal axis is about balance. Replenishing on the PI side of all-connectedness, empathy, loving unity and flow gives us energy to do any work well. When we are connected and loving the work goes so much easier, and healing happens for everyone involved. … from the VIR side: Being ‘in our temple’ of alignment with our true, holistic nature, doing our work and practice that supports wellness and wholeness, and using this precious life time to dedicate our gifts and skills to make the world a better place. In other words, offering sacred service. … from the PI side: Being in all-encompassing love and flow, nothing needs to be ‘done’, our ‘job’ is rather to perhaps get our ego and attachment to a certain outcome out of the way, be open, surrender, be available, allow, hold space, or simply: BE present. Doing work and being of service, while coming from a place of loving compassion – and skillfulness.